Genomic advances are making it increasingly feasible to use synthetic biology tools such as gene editing for conservation. But what do the people working at the front-line of conservation think of these ideas? What do conservation practitioners think about synthetic biology? This is a question my co-authors and I were toying with as we worked on a survey about attitudes to genetics among conservation practitioners in New Zealand. There is a well-established research implementation gap between genetics and conservation and we’d noticed that no-one had actually gone out and asked practitioners why they might not be integrating genetics in their conservation strategies. As we crafted our survey questions to try and address this issue, we realised techniques like gene-editing for conservation present a whole new challenge. Synthetic biodiversity conservation is a hot topic. It often feels like there’s a new paper addressing either the promise or problems associated with this field every week. Ultimately, this often boils down to the increasing ease of gene editing. Molecular scissors such as CRISPR-Cas9 allow us to tailor parts of an organism’s genome to various specifications, turning genes off, increasing their expression, or tweaking the genetic code to alter their function. Gene editing is tied into several of the possible strategies for resurrecting functional proxies of extinct species (so-called de-extinction). It is also being investigated as a method to eradicate invasive species by introducing harmful genetic variants or, conversely, assist threatened species that have lost genetic diversity due to population declines. There are both practical and ethical issues surrounding the use of gene-editing for conservation. It’s important to consult with a wide a group of stakeholders long before these technologies are ready to roll out in your local wilderness area or nature reserve. There is notable opposition from the general public to anything at all that is perceived as a GMO. Many conservation scientists, myself included, are still on the fence about using synthetic biology for conservation. What about conservation practitioners themselves? People working in conservation tend to have a reputation for being risk-averse (perhaps understandably), so what are the chances of them embracing tools such as gene editing to help save threatened species? This is an important question as it is conservation practitioners who will likely bear the brunt of managing the long-term repercussions of any synthetic biology conservation actions. Almost for fun, we decided to include a few questions on gene-editing and de-extinction in our larger survey of how practitioners working at New Zealand’s Department of Conservation perceive genetics. New Zealand is a great place to ask these questions because it’s a country with conservation challenges that lend themselves particularly well to gene-editing approaches. 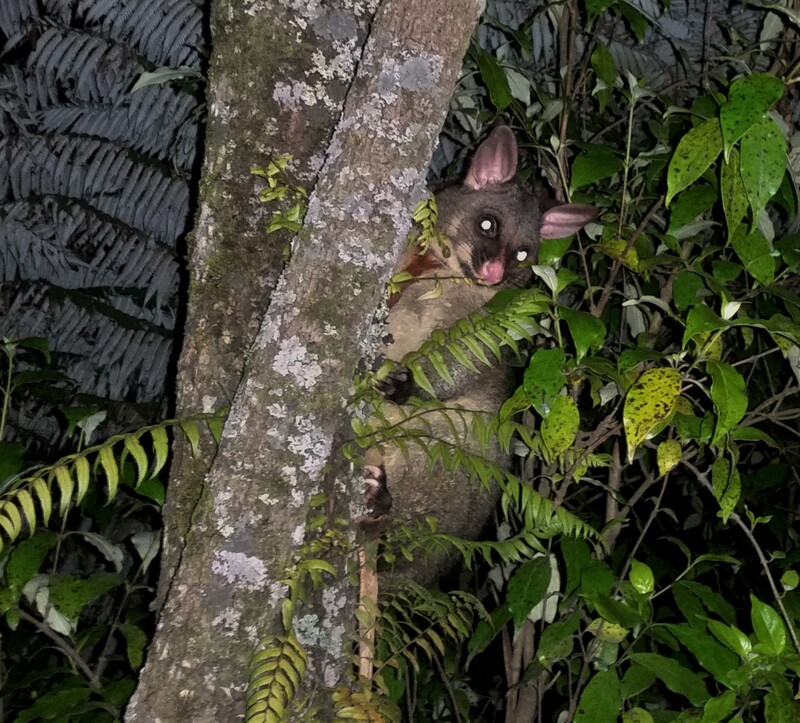 Some of the main threats to New Zealand’s native biodiversity are introduced mammalian predators like stoats, possums, and rats; the country has an ambitious goal of eradicating these marauding mammals by 2050. 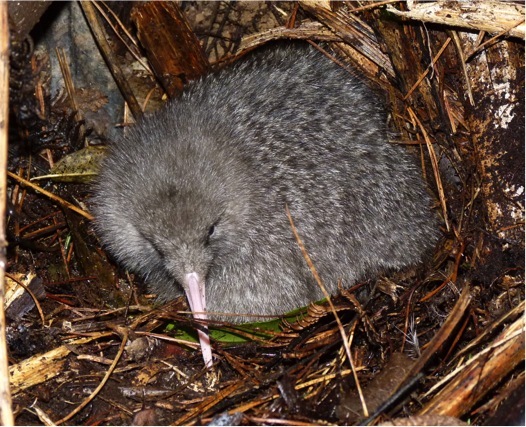 Thanks to these mammalian pests, and some human-induced habitat loss, many native species in New Zealand have experienced drastic declines in population size resulting in very low genetic diversity in numerous species. Finally, New Zealand has been the setting for several recent extinctions. 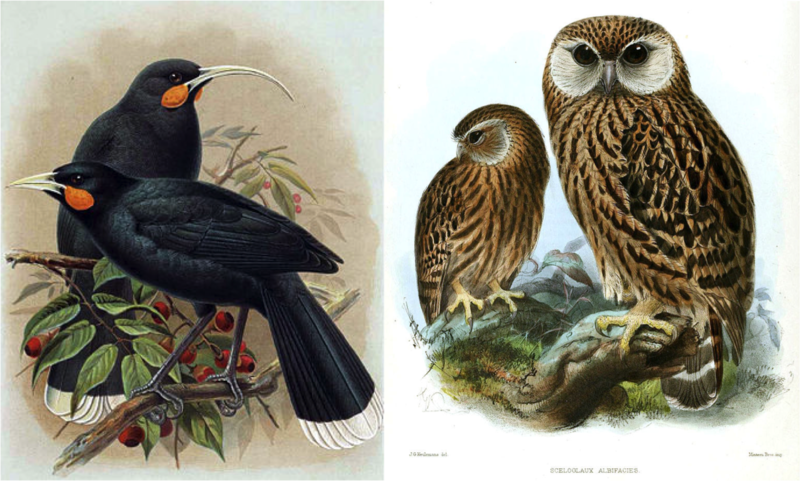 Species that went extinct a little over 100 years ago, such as the huia or the laughing owl, are perhaps more realistic candidates for de-extinction than long-dead mammoths. Surveys are always a risk as response rates are typically low, but thanks to the incentive of a prize draw with a reasonably substantial gift voucher, we received nearly 150 responses. As we were figuring out how best to present our findings, Bennett et al’s paper on how de-extinction could divert funds away from conservation of extant species gave us an excellent opportunity to add our data to the discussion in Nature Ecology and Evolution. It’s a little unusual to publish a response letter that contains new data; fortunately, the editors were keen on our approach. Our data showed some interesting, if not wholly surprising attitudes towards synthetic biology among conservation practitioners in New Zealand. We found that they were sceptical about the feasibility and usefulness of de-extinction, that a surprising number of practitioners would rather see a native species go extinct than use gene-editing to save it, but that there was wide-spread support for using gene editing to eradicate invasive species. Clearly, when it comes to gene editing for conservation, it matters whether a species is perceived as one of the good guys; practitioners are seemingly far less risk-averse when it comes to dealing with pesky invasives. This is perhaps not surprising in a survey based in New Zealand, a country with a long history of finding creative ways to kill unwanted animal guests. Encouragingly, practitioners seemed reasonably aware of the risks involved in using synthetic biology for conservation. Additionally, those in favour of gene editing for native species took a pragmatic view, seeing it as an extension of selective breeding. We wonder, however, how aware practitioners are of the rapid progress of gene-editing technologies for conservation and whether they’re viewing these ideas in the abstract rather than something that could become a reality relatively soon. We would also be really interested to see this survey repeated in different countries with different conservation challenges to assess attitudes towards synthetic biology for conservation on a global scale. There is an extremely important discussion to be had here. Our paper is a good first step in the right direction, but the dialogue on synthetic biology and its numerous applications needs to be extended to a more detailed discussion before we can consider gene-editing to save our threatened species. This discussion must include a wide variety of stake-holders, and conservation practitioners are a crucial voice that needs to be heard.